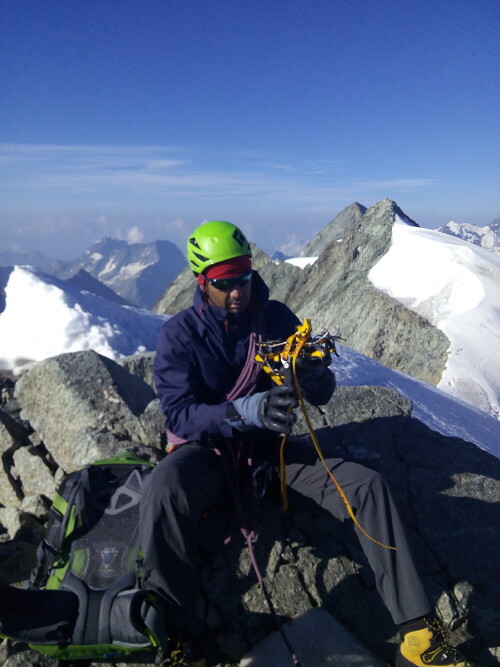 Mt Blanc du Cheilon 3,869m “undoubtedly one of the most beautiful peaks in the Western Valais….” A perfect 3 day adventure completed by Mountain Guide Gary Dickson and Anand. Yes, this is a fantastic classic Swiss alpine mountaineering trip with a superb Cabane ( Cabane des Dix) as the launch point. 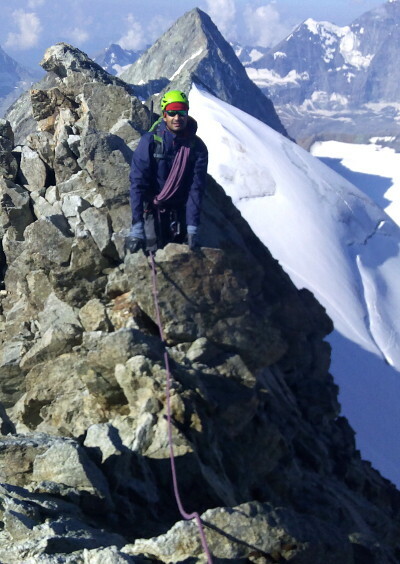 Fine alpine rock ridge travel then superb views of the Matterhorn, Dent Blanche and Dent d Herens at the summit ridge and then fun, exposed ridge travel and a final summit mini pitch to the very ‘airy’ summit where one can look directly down the very steep north face to the Cabane Dix 1000m below. 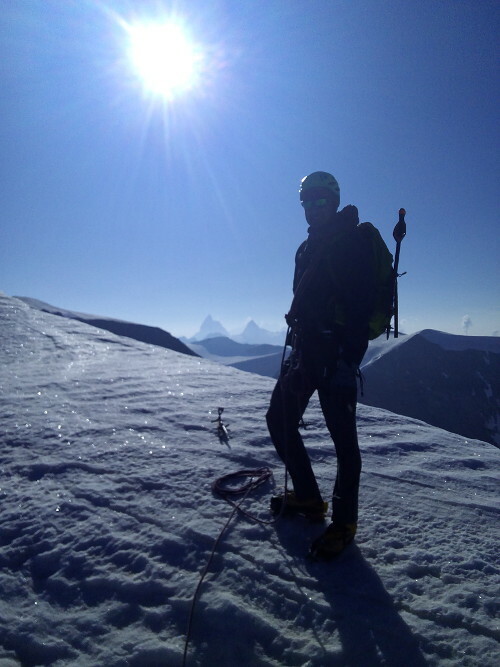 This entry was posted in Latest News and tagged Alpinism & Ski, mountaineering, swiss, Switzerland by alpinism. Bookmark the permalink.